The danger in voicing this critique is that I sound like (or, worse, become) the guy who tells people to stop getting so worked up about helping people. Since I’ve been accused of encouraging people in their apathy and selfishness, I’d like to go on record as being strongly opposed to both. But it is hard to walk the fine line between misplaced guilt and cheap grace. With that in mind I thought I’d wrap up (for now) this series of intermittent posts by offering two brief conclusions. In recent years there’s been so much talk about the poor and social justice that some conservative Christians, especially if that conservatism is political as well as theological, are tempted to tune out any time a well-intentioned evangelical chastises the church for neglecting “the least of these.” It’s the theological equivalent of Newton’s law of motions: every passionate, radical new Christian action will produce an equal and opposite reaction. In other words, the more some Christians talk about the poor, the more other Christians will get sick of hearing about it. But there actually is a lot in the Bible about the poor, even more if you expand the category to include wealth, money, possessions, and justice. The Old Testament law contained numerous laws to ensure the fair treatment of the poor and to provide for their modest relief. Job’s righteousness, at least in part, consisted in his compassion for the weak (cf. Job 29). The Psalms extol a God who promises to rescue the needy. The prophets denounce the rich oppressors and call for mercy and justice toward the helpless. Jesus warned against the accumulation of riches and found that society’s outsiders generally trusted him more than the powerful insiders. The apostles, for their part, spoke against greed and the love of money and encouraged God’s people in sacrificial generosity. And then there’s Genesis 1 and Psalm 8 where we see that every human being is made in God’s image, possessing inherent worth and dignity. This alone is reason enough to care for our fellow man. Most importantly, the New Testament, in passages like 2 Corinthians 8-9 and Galatians 6:1-10 demonstrate the gospel motivation for mercy ministry. Because we have been given grace in Christ, we ought to extend grace to others in his name. Tim Keller is right: ministering to the poor is a crucial sign that we actually believe the gospel. (1) For starters, the alleviation of poverty is simply not the main storyline of Scripture. Some Christians talk like the Bible is almost entirely about the poor, as if the story from Genesis to Revelation is largely the story of God taking the side of the poor in an effort to raise the minimum wage and provide universal health care. As we tried to show earlier, the biblical narrative is chiefly concerned with how a holy God can dwell with an unholy people. Granted, one aspect of living a holy life is treating the poor with compassion and pursuing justice, but this hardly makes poverty the central theme in the Bible. If our story does not center on Jesus Christ, and the story of Jesus Christ does not center on his death and resurrection for sin, we have gotten the story all out of whack. (2) Likewise, we must remember that the “poor” in Scripture are usually the pious poor. They are the righteous poor, the people of God oppressed by their enemies yet still depending on him to come through on their behalf (see for example Psalm 10; 69; 72; 82). This does not mean “the poor” should be evacuated of any economic component. After all the pious poor are very often the materially poor. But it does mean that the poor God favors are not the slothful poor (Prov. 6:6-11; 2 Thess 3:6-12), nor the disobedient poor (Prov. 30:9), but the humble poor who wait on God (Matthew 5:3; 6:33). (3) We should note that almost all the references to caring for the poor in the Bible are references to the poor within the covenant community. The “least of these” in Matthew 25 are our brothers in Christ, most likely traveling missionaries in need of hospitality. Paul was eager to help the poor, but his concern was for the impoverished church in Jerusalem. It is simply not accurate to say, in the words of one popular book, “The Bible is clear from the Old Testament through the New that God’s people always had a responsibility to see that everyone in their society was cared for at a basic-needs level.” You can make a good case that the church has a responsibility to see that everyone in their local church community is cared for, but you cannot make a very good case that the church must be the social custodian for everyone in their society. Christians are enjoined to do good to all people, but the priority is “especially to those who are of the household of faith” (Gal. 6:10). (4) Justice, as a biblical category, is not synonymous with anything and everything we feel would be good for the world. We are often told that creation care is a justice issue, the gap between rich and poor is a justice issue, advocating for a “living wage” is a justice issue. But the examination of the main social justice texts has shown that justice is a much more prosaic category in the Bible. 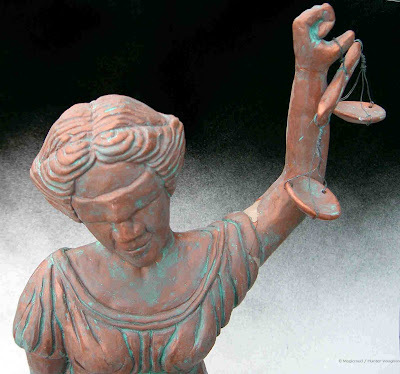 Doing justice means following the rule of law, showing impartiality, not stealing, not swindling, not taking advantage of the weak because they are too uninformed or unconnected to stop you. I dare say that most Christians in America are not guilty of these sorts of injustices, nor should they be made to feel that they are. We are not interested in people feeling bad just to feel bad, or worse, people thinking there is moral high ground in professing most loudly how bad they feel about themselves. If we are guilty of sin, let us repent, receive forgiveness, and change. When Christians are guilty of injustice they should be rebuked and admonished in the strongest terms. But when it comes to doing good in our communities and in the world, let’s not turn every possibility into a responsibility and every opportunity into an ought. If we want to see our brother and sisters do more for the poor, we’ll go farther and be on safer ground if we use grace as our motivating principle instead of guilt.